This morning I headed out with Rob to meet Eric Malbone at McCloud Nature Park. Neither Rob nor I had ever visited this park but we quickly realized it has great potential. 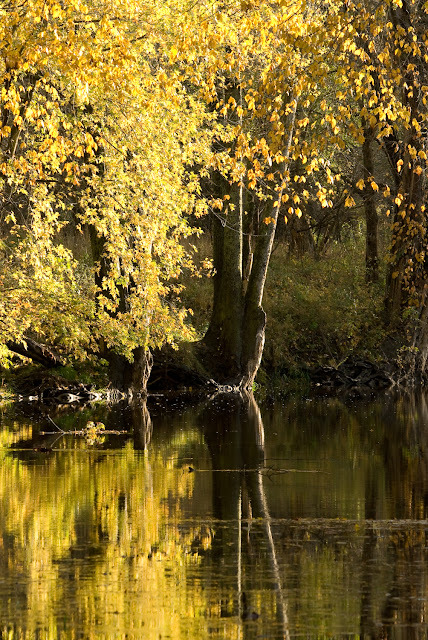 It is a fairly large park at 232 acres and includes a variety of habitats such as grassland, mature forest, and second growth. Big Walnut Creek also runs through the property which helps attract birds. 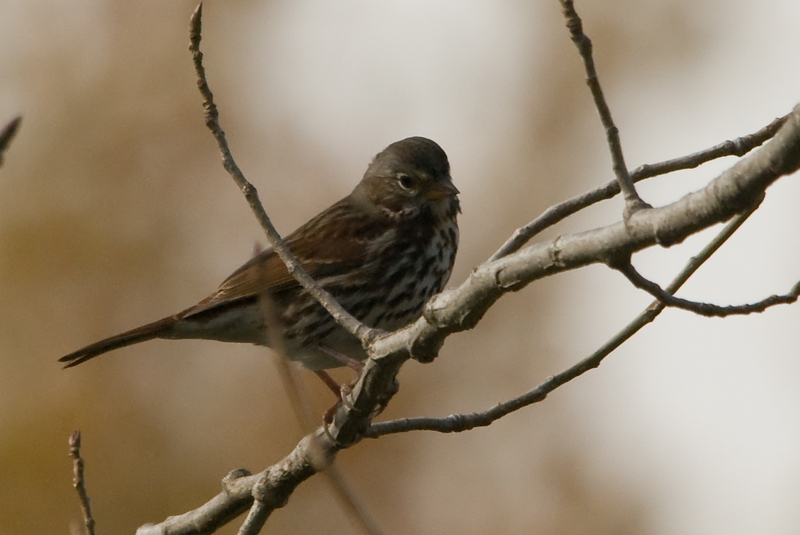 One of the many Fox Sparrows. We ended the day with nine species of sparrows and five species of warblers. The biggest highlight for me was listening to the Fox Sparrows singing. 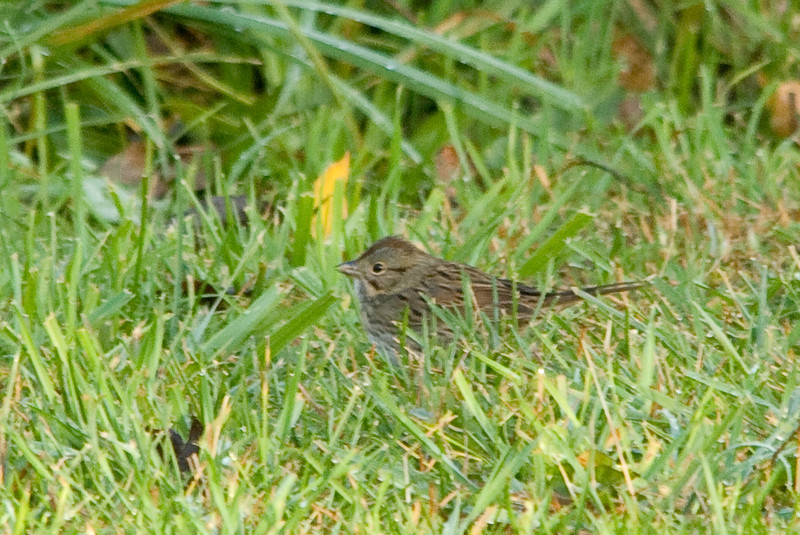 The few Lincoln's Sparrows we saw were also highlights. We also came across 35+ Pine Siskins mixed in with a large American Goldfinch flock; I had only been having this species as flyovers recently. Lincoln's Sparrow that was obliging enough to feed out in the open. 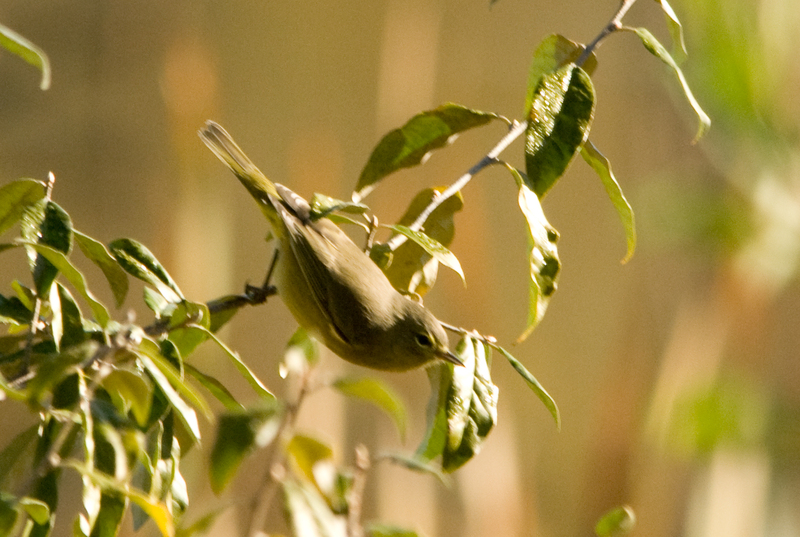 Orange-crowned Warbler-we had a couple individuals on the day! 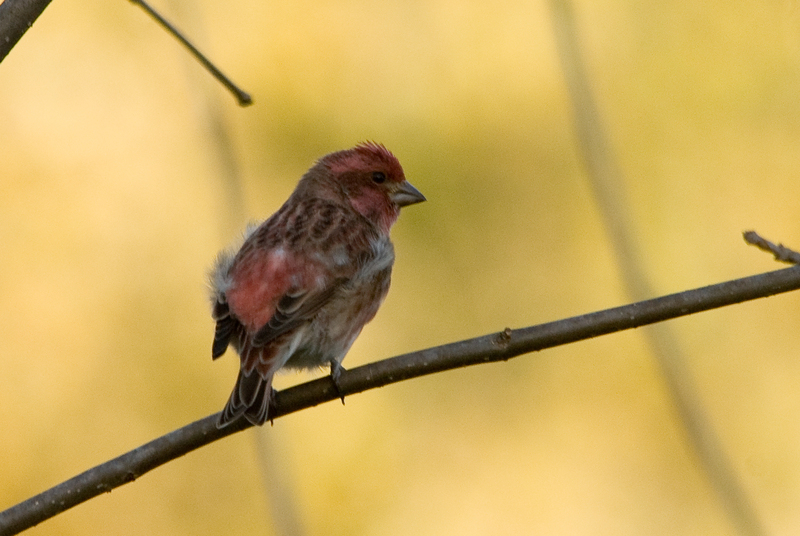 We ended the day with a decent total of Purple Finches . . . such as this male. Love the purple finch! I hope to add it to my life list this winter; we'll see what happens. Thanks for the lovely photos! Thanks Melissa, good luck finding a Purple Finch!